The Barracuda NG Firewall (BNG) team is pleased to announce that we have launched our first Splunk app for the BNG on the Splunk marketplace. You can view the release here. Splunk is software that indexes data from any app, server, or network device. It creates searchable data out of logs, config files, messages, alerts, scripts, metrics, and more. 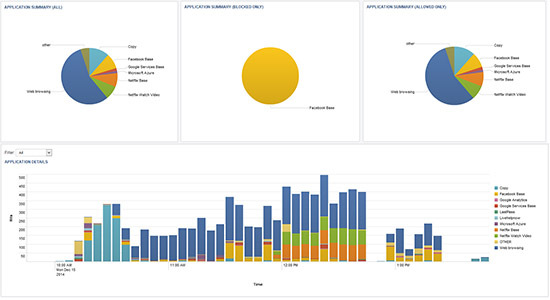 The Barracuda NG Firewall Splunk app shows information on matched access rules, detected applications, and applied URL filter polices on various fixed and real-time timelines. Data is imported into Splunk via syslog streaming of the Firewall activity log. If you already have a Barracuda NG Firewall and a Splunk server in place, then getting started with our Splunk app is a simple 4-step process. Now you can use the Barracuda NG Firewall Splunk app to query the data generated by the device. For more detailed instructions on configuring Splunk integration, take a look at the technical documentation here. For more on the Barracuda NG Firewall and to order a 30-day risk-free demo unit, visit the product site here.